Basic population parameters of the cuttlefish Sepia dollfusi. in the Gulf of Suez were described from samples of commercial landing made between September 2002 and May 2003. A total of 600 5. dollfusi with mantle lengths ranged from 45 to 147 mm were studied. Age and growth were estimated using progression analysis model by applying Bhattacharya method. There were no significant differences in population parameters between sexes. The theoretical maximum length Lr. = 169 mm and the growth coefficient K = 0.91/ year. Total, natural and fishing mortalities were 3.57, 1.07 and 2.5 per year respectively. 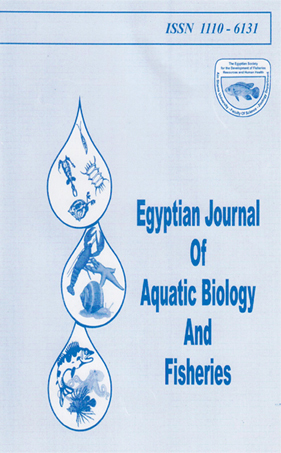 The exploitation ratio (E =0.7) suggests that the fishing pressure on S. dollfusi in the Gulf of Suez is high. Relative yield per recruit and relative biomass per recruit analysis showed that S. dollfusi stock in the Gulf df Suez in a situation of over-fishing. For the management purposes, the current exploitation rate should be reduced by about 51% to maintain a sufficient spawning biomass and the present length at first capture should be raised to about 86 mm ML.